Twinkling fireflies along the winding stream. Green grasses and sweet blossoms catching the breeze. Quiet sun sparkles across the lake. Wooded trails that you can’t help but follow, disappearing into the distance. Find yourself a world away right in the heart of it all at Sweet Apple. For almost 200 years, Sweet Apple has been known as a very special place. Now Brightwater Homes brings to life a neighborhood retreat unlike any other in this one-of-a-kind address along Ebenezer Road in Milton. Acres of green space, protected through a conservation trust, mean an incredible natural setting to explore right at your doorstep. Delight in expanses of preserved trees, native plants and miles of trails – a spectacular backyard for everyone to discover. Drop a fishing line in the lake. Roast marshmallows over a crackling firepit. Or just grab a rocking chair and enjoy the view. Honoring the legacy of the land with a thoughtful neighborhood design, Sweet Apple artfully brings neighbors together – and lets nature alone. 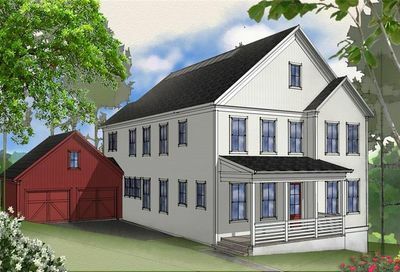 The timeless character of farmhouse-inspired architecture is paired with modern features and individual, site-sensitive design to create a place where home feel like a world all its own, even as sidewalks and steps connect front porches and friends. The good life comes naturally here, with rich heritage and natural treasures unfolding before your eyes. And best of all, you’re invited. Become a part of the story at Sweet Apple. Brightwater Homes is pleased to announce that Sweet Apple will be the first new residential neighborhood in Georgia to offer solar panel arrays as a standard feature on every home. Find out more about Sweet Apple! Please input your information below, and I will be in touch with you regarding your inquiry.